No more of that crap on my watch. Last weekend, John Hempton demonstrated how Bank of America (BAC) had engaged in the same sort of balance-sheet manipulation that Lehman Brothers did: temporarily shedding assets at the end of the quarter to make it appear that it was taking less risk than it actually was.We blasted Bank of America for this. While the behaviour may not have been illegal, we said, it certainly wasn’t transparent. Bank of America executive Jerry Dubrowski has since reached out and asked us to clarify our remarks and provided a response. We asked a few more questions, to which Bank of America provided an additional response. The exchange is below. Your posting on Bank of America contains a line that we would like you to explain. As John Hempton pointed out last week, Lehman wasn’t the only bank that engaged in bogus end-of-quarter balance sheet manipulation to trick investors into thinking it was less leveraged than it was. 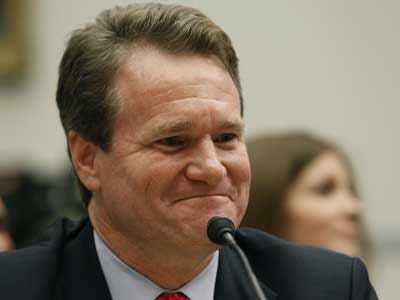 Turns out, Bank of America (BAC) did it, too. It appears that this line is based on Mr. Hempton’s “analysis” and if so we would appreciate the opportunity to respond directly. Unfortunately we did not get a phone call or email from you or your organisation seeking our response. Thanks very much for the note. I’ll be happy to add your comment to the post. The point I was making, which is the same one Hempton was making, was that BAC’s assets shrank repeatedly at the end of the quarter relative to the average assets for the quarter. This makes it appear that BAC was carrying higher leverage ratios through the quarters than it was reporting at the end of the quarters. 3) Do most Wall Street firms exhibit the same pattern of average-versus-end of quarter assets (in which case BAC’s balance-sheet management might be directly in keeping with standard industry practices). With regard to the question on transparency, I would also point you to our 10-K where we report both average assets and period end assets. We clearly disclose this information for investors to review in our public filings. Finally, I cannot speak for other companies and their disclosure polices.